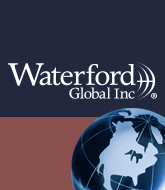 Manitoba Chamber of Commerce - Entrepreneur of the Year Finalists - Waterford Global Inc. It gives us great pleasure to share with you that our firm, Waterford Global Inc., has recently been selected as a finalist for the “35th Annual Manitoba Business Awards” in the Entrepreneur of the Year category! Our two founding partners, Karen Swystun and Fred Loewen, are jointly nominated for the distinction. This is a new category for the Awards program, so it is especially exciting to be named as a finalist in this inaugural year. Award winners in each of the various categories will be announced at the gala evening on Friday, Oct 26 at the Fairmont Winnipeg Hotel. For more information on the awards, please click HERE. We are honoured to have received this recognition of our efforts from our local Manitoba business community. As a retained executive search and physician recruitment firm, we specialize in the acquisition of mid-to-senior level technical, professional, executive and physician talent – domestically and internationally – in your industry vertical and others. Headquartered in Winnipeg, Canada and with satellite offices around the world, our firm’s global reach allows us to regularly deliver service throughout the Americas, Europe and Asia.